The Australian Government has passed amendments to the long-standing petroleum resource rent tax (PRRT) to exclude the onshore oil and gas industry from its scope. The Australian Petroleum Production and Exploration Association (APPEA) welcomed the changes, with chief executive Andrew McConville stating it would remove uncertainties impacting future investment in the industry. “The decision to remove the onshore industry from the scope of the tax reflects the fact that onshore projects brought into the PRRT regime from July 1 2012 were never likely to pay PRRT because of a combination of high levels of project expenditure and state-based royalties, which remain the primary resource taxes for such projects,” McConville said. 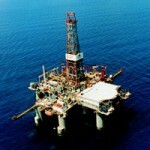 The APPEA chief added that onshore exploration remained crucial to meeting the demands of the east coast energy market. The PRRT is a profit-based tax on the sale of petroleum-based commodities such as liquefied petroleum, crude oil, sales gas and several others that has been in place since 1986. Initially, the PRRT applied to offshore petroleum projects with the exception of the North West Shelf project, the Joint Development Project Area between Australia and East Timor and the Bass Strait Project. The Bass Strait project was added to the PRRT’s purview in 1990, and in 2012 the PRRT was revised to include onshore petroleum projects and the North West Shelf project. The collection of tax from the PRRT peaked in the 2000-2001 tax year with a return of $2.4 billion and has declined since, according to Australian Tax Office figures. Fourteen companies contributed just $946 million to the tax in 2016-17, up from $845 million put forward by nine companies in 2015-16 due to a spike in oil price profitability. The PRRT has led to accusations of tax avoidance by critics — only six projects from 138 tax submissions paid the PRRT in 2017-18, and tax credits among Australia’s oil and gas producers now stand at $324 billion, up from $282 billion in 2016-17. Greens Party Senator Peter Whish-Wilson has referred to PRRT as “the most egregious rort in the Australian tax code”. In December 2018, think tank McKell Institute released a related report suggesting a 10 per cent royalty be established to all offshore gas projects subject to PRRT rules, a move that the report stated could produce an additional $2.8 billion in revenue a year. “[The] decline in royalties is causing more of the GST revenues to be sent to Western Australia and decreasing GST distributions to other states,” the report read.